You can access your HostPapa email on a wide range of devices, including desktop computers, tablets and smartphones. In this document, we’ll provide links to guides that show you how to configure your email on Apple iOS devices, such as the iPhone, iPad, or iPod Touch. The steps required to configure email access on Apple iOS devices vary slightly, depending on the version of iOS running on your device. 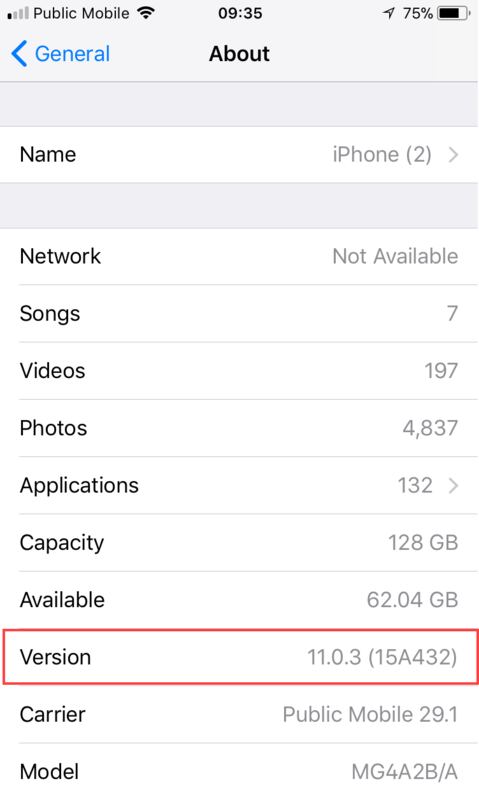 To find out which version of iOS is running on your device, head to Settings > General > About and check the Version entry. You may also want your iPhone, iPad, or iPod Touch to store your “Sent” and “Draft” messages on the server. You can also change this setting in the Advanced settings area. Please note that third-party software, including software installed on mobile devices, is not directly supported by HostPapa.